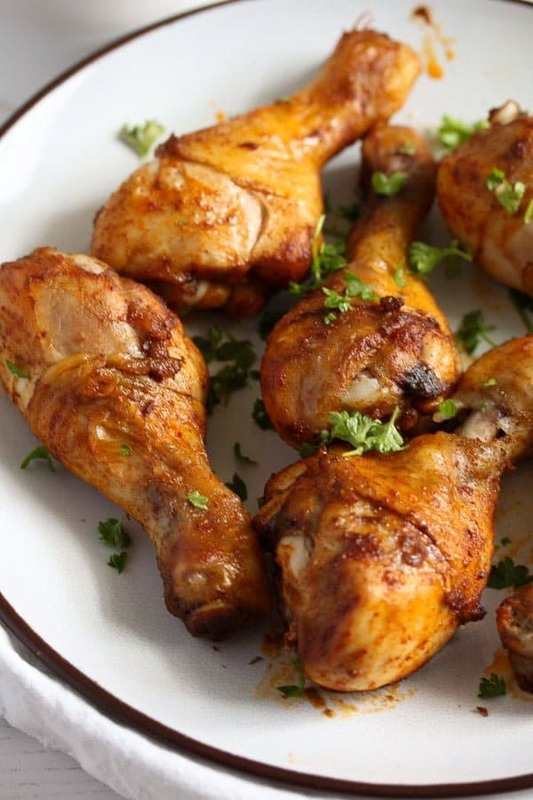 A basic recipe for making baked chicken drumsticks, marinated with paprika or curry powder. 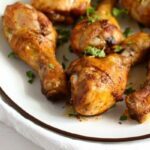 From all the easy baked chicken recipes I make on a regular basis, recipes like the Baked Chicken Thighs or the Turmeric Chicken Legs With a Honey Garlic Glaze, this Baked Chicken Drumsticks must be the easiest. This chicken recipe is not only easy and very quick to make, but also versatile, you can change the flavors according to your mood or according to whatever you happen to have in your spice cabinet. 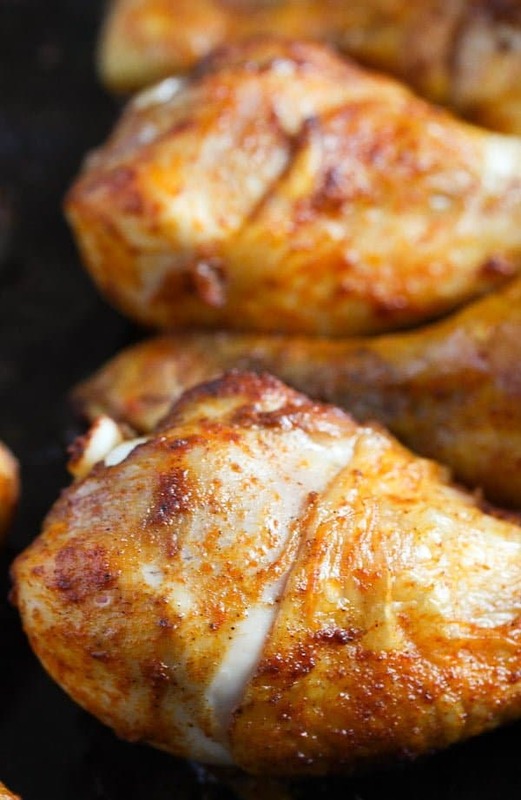 I have been making these Baked Chicken Drumsticks for years now and the recipe (if you can call this a recipe) really never disappoints. When it comes to baked chicken it hardly gets any easier. 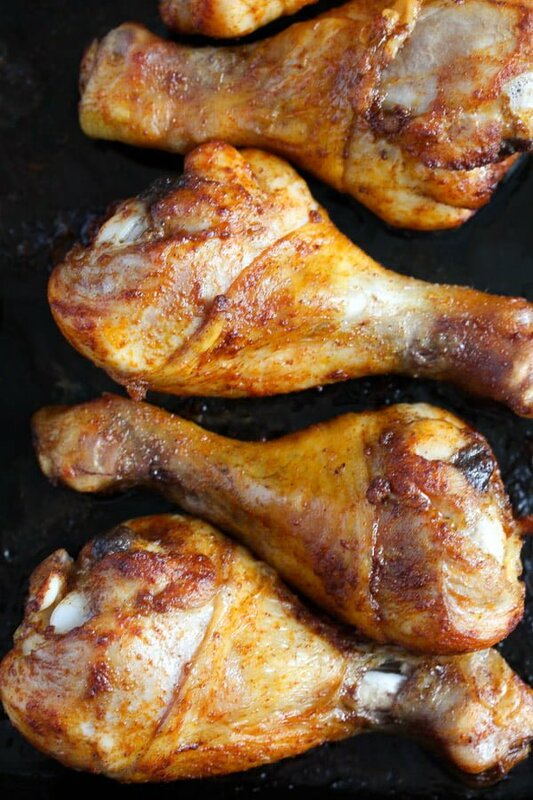 How to season the chicken drumsticks or chicken legs? As mentioned above there are lots of possibilities when it comes to seasoning the chicken parts. 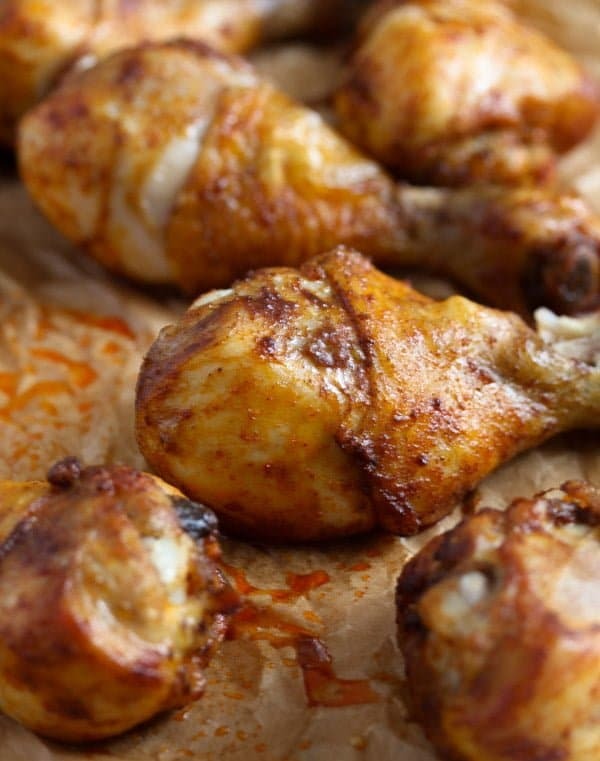 For this blog post I chose my two most common ways of seasoning chicken drumsticks, one version with paprika and one version with curry powder. Most of the times I simply season the chicken with a mixture of salt, pepper and paprika stirred with a little oil. I grew up eating chicken flavored this way, my grandmother never used any other spices. Salt and pepper, sweet paprika powder and stock cubes were the only spices she ever used. Besides, some fresh herbs like parsley, dill and lovage, some dried herbs like savory or pickled herbs like tarragon. I prefer to use sunflower oil (like my grandma used to do), but you could definitely use olive oil instead. To spice the chicken drumsticks, chicken thighs or even whole chicken legs, pat the chicken parts dry. In a large bowl, mix together the oil and the spices, add the chicken and turn it in the spice mixture until well coated. Massage the spices into the chicken as well. 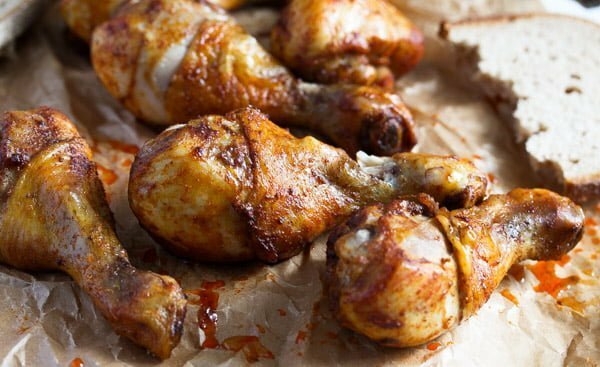 Place the chicken drumsticks, thighs or legs on a baking sheet lined with baking paper and bake in the preheated oven. The quantities indicated below are enough to coat 6 to 8 drumsticks, 4-6 chicken thighs or 4 whole chicken legs. These are just a few ideas for seasoning your Baked Chicken Drumsticks, chicken thighs or chicken legs. As you can see the sky is the limit, play with the spices and see what combinations you like best. Usually about 35 minutes at 200 degrees Celsius/ 400 degrees Fahrenheit should be enough. But make sure to check the chicken before you take it out of the oven, the times might differ depending on the size of the chicken drumsticks and on your oven, not all ovens heat the same way. 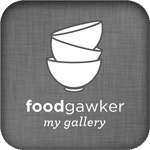 , in this case the internal temperature of the chicken drumsticks should be of 75 degrees Celsius/ 165 degrees Fahrenheit. Or you can check the doneness of the chicken by inserting a skewer or toothpick in the thickest part of the drumstick. The juices should run clear, no pink juices are allowed when it comes to chicken. 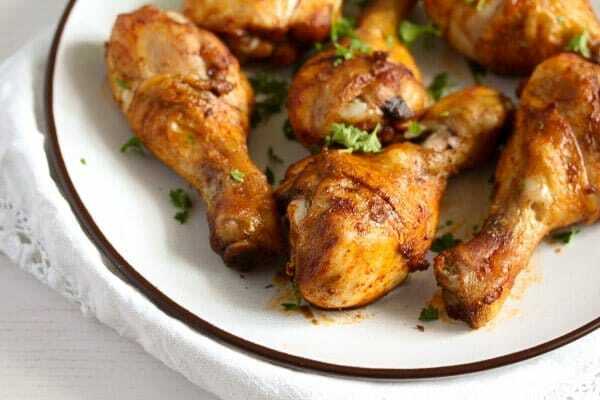 What to serve with Baked Chicken Drumsticks? The last time we ate these wonderful Baked Chicken Drumsticks (last Saturday), we had them with dinner rolls and Sauteed Asparagus with Garlic. But most of the times we eat these chicken drumsticks with potato wedges and chili dip , crispy baked cornmeal potatoes or different potato salads, sometimes this Swabian potato salad. And I always make a vegetable side dish or two, either a simple white cabbage salad, a tomato and onion salad or a plain green salad with yogurt dressing . Or some roasted broccoli or cauliflower or roasted carrots with olive oil. Give 2 tablespoons oil, ½ teaspoon salt, ¼ teaspoon black pepper and 1 teaspoon sweet paprika powder to a large bowl. Pat the chicken drumsticks dry with kitchen towels, there is no need to wash the chicken before. Add 6 drumsticks to the spice mixture, turn to coat well and massage the seasoning into the chicken. Place the chicken drumsticks on the prepared baking tray. Give the remaining oil, salt and pepper to the same bowl (no need to clean it before). Add the curry powder and remaining 6 chicken drumsticks, turn to coat with the seasoning and massage the chicken well with the mixture. Place these drumsticks on the tray as well. , in this case the internal temperature of the chicken should be of 75 degrees Celsius/ 165 degrees Fahrenheit. Or you can check the doneness of the chicken by inserting a skewer or toothpick in the thickest part of the drumstick. The juices should run clear, no pink juices are allowed when it comes to chicken. Serve immediately with some of the suggested side dishes. 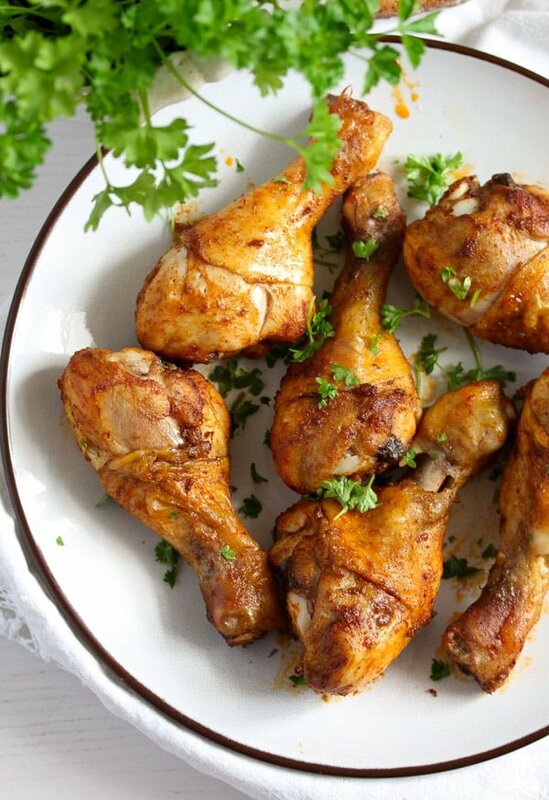 Those baked chicken drumsticks look amazing! I must try your chicken seasonings. I am glad you liked it, Kelly.